Cocaine is still one of the most popular drugs in the world. While the crazy days of crack cocaine taking over the world in the 80s and 90s seem to have subsided, that doesn’t mean that the drug is gone for good. While we’re not seeing it used at the same community-destroying quantities of the past few decades, it is still one of the go-to drugs for partiers and young people in college that have been led astray into drug experimentation. When someone successfully goes through rehab for cocaine addiction, her battle may seem to be over, but it often isn’t. She may have overcome her initial addiction to the drug, but there is still the danger of relapsing and beginning to use it again. In order to keep yourself or a loved one safe from a cocaine relapse, it is vital to understand 5 of the main factors that are involved in someone going back to the drug. One of the first problems may have been that the person didn’t use the right rehab in the first place. For example, you may have used a rehab that endorsed the outdated and discredited “Addiction is a disease” theory. The fact is that addiction is not a disease, and any rehab that tells you that is not going to help you stay clean and free of relapses. Addiction is a complex set of behaviors that you have to learn how to control. If you didn’t go to the right rehab that taught you how to do so, you may want to consider enrolling in a program like Narconon Arrowhead before trying to face the outside world on your own. Another problem that many cocaine addicts face is that they didn’t actually spend enough time in rehab to get truly sober. They may have gone to a program that kicked them out at the end of 30 days. They may have seemed to get through the worst of withdrawal, but is there any real guarantee that they will stay away from drugs for good? A program like Narconon Arrowhead allows clients to stay in treatment until everyone agrees that they are ready to stay clean. No one is sent home because some arbitrary date on a calendar has been hit. Going back out into the world after rehab can be tricky. It’s as if there are landmines planted all around that the rehab program graduate is going to have to avoid. One of them is using prescription opiates. If the graduate starts using these powerful drugs for pain, she could start a whole new type of drug addiction in addition to relapsing into her old cocaine habit. One of the best ways to not relapse into drug use again is to change your environment. Instead of going right back to the neighborhood and all of the friends that you were using drugs with, it’s a much better idea to change your scenery and find a new group of friends that are committed to also being sober. This way you will not be tempted to go back to old bad habits. The most common way of relapsing to cocaine use is simply not making real changes in your life. Whatever your initial reasons were for using the drug, you have to change the way you live and stop engaging in those old, bad habits. 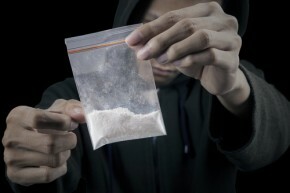 If you go right back to partying every weekend at clubs where you know that people will be using and selling cocaine, there is a strong chance that you’ll want to use it too at some point. It’s vital, then, that you make real changes in your life to leave all of these old, bad habits behind.